Below are two great iPad apps that are on sale today. They are free for a limited period of time at least in the Canadian and American iTunes App Stores. The first app called Clips Video Editor is a simple yet powerful application to use when editing your videos. It allows you to add music, split and/or trim clips, add voice-overs, mix audio and many more. The second app, NOTE’d, is a beautiful notepad application to use for recording ideas and bookmarking memos. It supports voice memos in cases where you can’t type and lets you attach photos and maps to you memos. 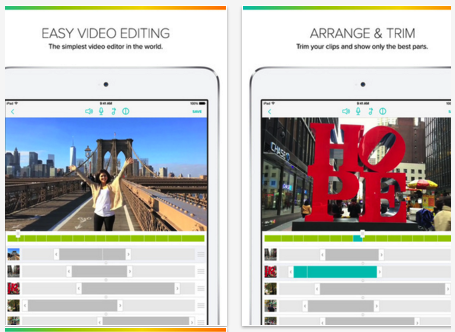 Clips is a simple video editor that enables you to edit and create awesome videos. Some of the features it provides include: import photos and music, add music, add transitions, apply voiceovers, split/duplicate or trim clips, and mix audio. Videos created by Clips can be shared via social media websites and Text message. 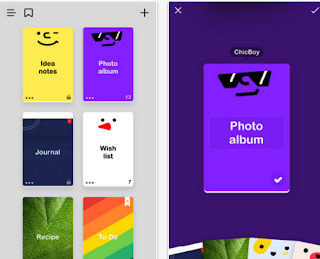 NOTE’d is a simple and easy notepad app that provides a set of interesting features that include: writing brief memos, creating wish lists, recording audio memos, organizing memos by labels and categories, protecting your notes with a password...NOTE'd is also integrated with Dropbox so you can backup and restore your notes.